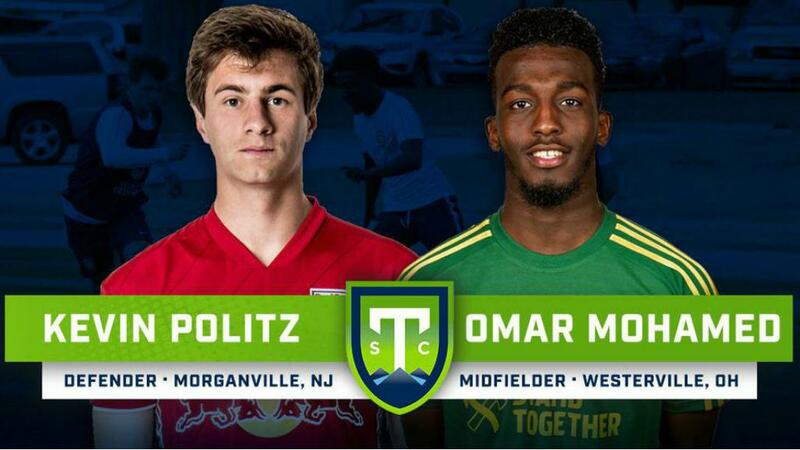 GREENVILLE, S.C. – Greenville Triumph SC added another pair of players to its inaugural roster on Friday as the club announced the signings of defender Kevin Politz and midfielder Omar Mohamed for the 2019 USL League One season, pending league and federation approval. Politz joins Triumph SC after signing as a homegrown player with the New York Red Bulls in January 2018. He did not make a senior appearance for the side but appeared in 21 matches on loan with the New York Red Bulls II in the USL Championship. The 22-year-old is a product of the Red Bulls Academy, where he won the U.S. Soccer Academy National Championship in 2012 and 2013. Collegiately, Politz spent four seasons at Wake Forest University, where he made 71 appearances and earned ACC Defensive Player of the Year honors in his senior season. Mohamed played in the Columbus Crew Academy prior to spending one collegiate season at Jackson College, where he scored six goals in 11 games for the Jets. The 22-year-old also brings USL Championship experience with him to Greenville, having spent the 2016 season with FC Cincinnati and the following campaign with Portland Timbers 2.